DESCRIPTION -- From the 1920's/1930's this is a milk jug from the Union Castle Line vessel the SS Armadale Castle. 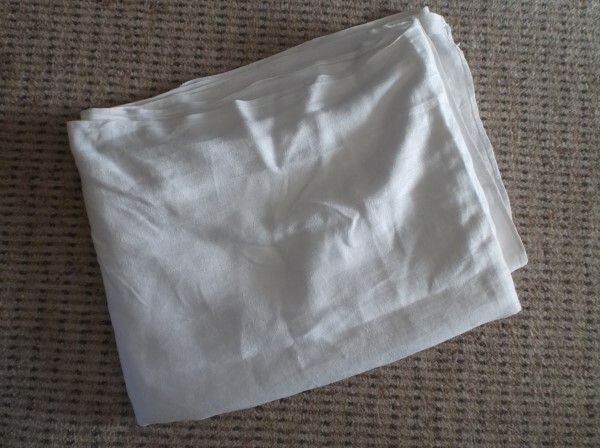 To be found on the dining tables of cruise voyages this item is in a good condition and shows on the front the company houseflag and vessel's name (click on the picture to see a close up of the houseflag). HISTORY -- SS Armadale Castle was a passenger steamship built in 1903 at Fairfield Shipbuilding and Engineering, Govan, Scotland, for the Union-Castle Mail Steamship Co Ltd, London, the first ship ordered for the newly formed company. Armadale Castle was requisitioned as an armed merchant cruiser in the Royal Navy 2 August 1914. She was returned to commercial service in 1919. She was laid up at Netley in 1935, reprieved for one voyage, then scrapped in 1936 at Blyth by Hughes Bolckow Ltd. DESCRIPTION From the Walmer Castle of the Union Castle Line this is an item dating from the 1920's/1930's. It is a silver-plated dining table salt pot which shows on the front the company houseflag and name of the ship. The item is in a good condition and a great find. HISTORY -- The Union-Castle Line was a British shipping line that operated a fleet of passenger liners and cargo ships between Europe and Africa from 1900 to 1977. It was formed from the merger of the Union Line and Castle Shipping Line. It merged with Bullard King and Clan Line in 1956 to form British & Commonwealth Shipping, and then with South African Marine Corporation (commonly referred to as SAF-Marine) in 1973 to create International Liner Services, but maintained its separate identity throughout. Its shipping operations ceased in 1977. The vessel the Walmer Castle was sadly lost on the 21st September 1941 when it was bombed and sunk in the Atlantic while a convoy rescue ship. 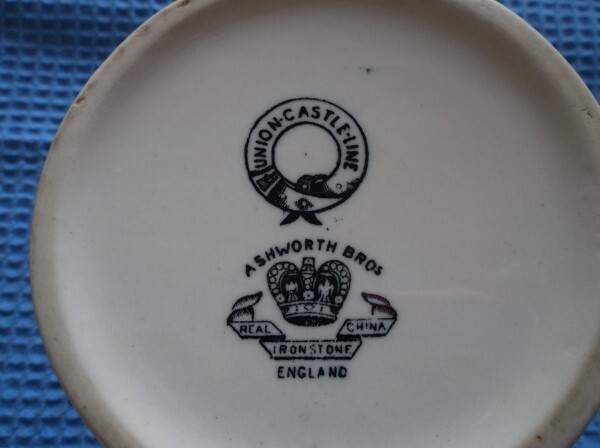 DESCRIPTION -- From the RMS Arundel Castle of the Union Castle Line this is a souvenir chrome ashtray showing in the centre a company flag and name. The size is 5Ãƒâ€šÃ‚Â½" (14cm) and is in an excellent condition and dated from the 1950's (click on the picture to see a close up of the houseflag). HISTORY -- RMS Arundel Castle was a British ocean liner and Royal Mail Ship which entered service in 1921 for the Union-Castle Line. A previous vessel of the same name was built in 1864 by Donald Currie & Co. (a predecessor to Union-Castle) and sold in 1883, whereupon it was renamed Chittagong. Arundel Castle was withdrawn from service in 1958 and taken to Chiap Hua, the ship breakers in Hong Kong. 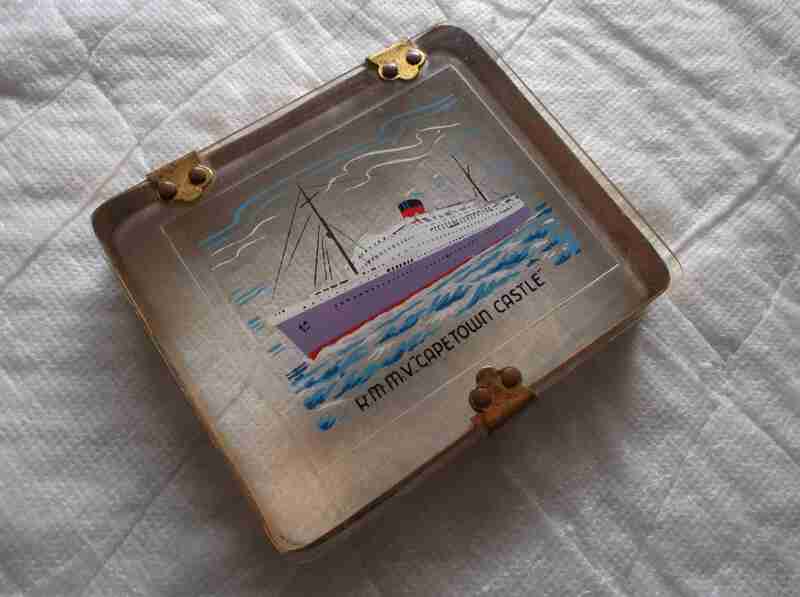 DESCRIPTION -- Very rare find from the RMS Transvaal Castle of the Union Castle Line which is a square glass souvenir dish. The item is in a good condition and shows a picture of the vessel in the centre. This type of dish would have been found in the First Class cabins during the early 1960's and is 4Ãƒâ€šÃ‚Â½" (12cm) square. HISTORY -- Launched in 1961, RMS Transvaal Castle was a British ocean linerbuilt by John Brown & Company at Clydebank for the Union-Castle Line for their mail service between Southampton and Durban. In 1966 she was sold to the South Africa-based Safmarine and renamed S.A. Vaal for further service on the same route. Following cessation of the service between the UK and South Africa in 1977 the ship was sold to Carnival Cruise Lineand rebuilt in Japan as the cruise ship SS Festivale, re-entering service in 1978. DESCRIPTION -- From the Union Castle Line vessel the RMMV Capetown Castle this is a souvenir cigarette case which is 3" (9cm) wide and is from the 1950's. 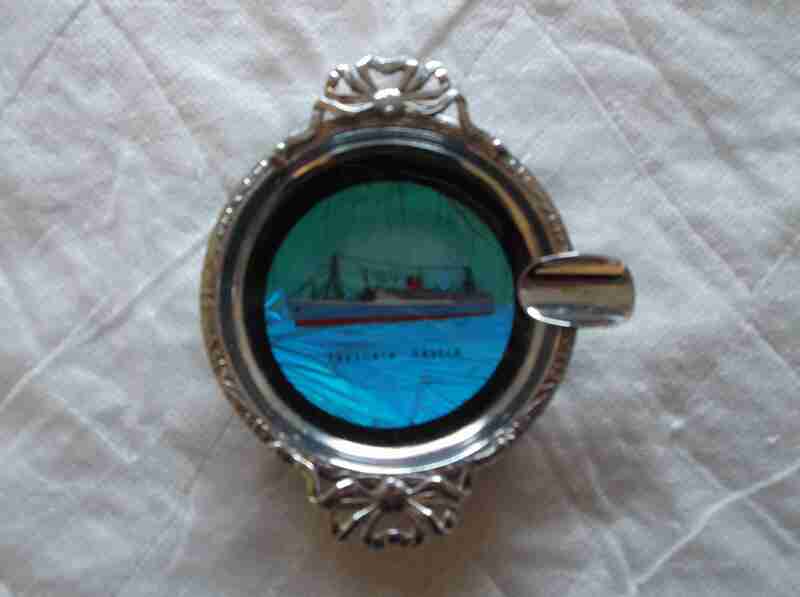 A very rare to find piece which has a glass top showing a superb picture of the ship and the name. HISTORY -- RMMV Capetown Castle was a British passenger liner built by Harland & Wolff at Belfast for the Union-Castle Line's mail service from Southampton to South Africa. The ship was launched on 23 September 1937 and was a slightly enlarged version of the Stirling Castle and Athlone Castle of 1936. After the outbreak of World War II, in January 1940, the government introduced the Liner Requisition Scheme and Capetown Castle was taken up for conversion into a troop ship. DESCRIPTION -- Dating from the 1930's this is an as used in service coathanger from the Union Castle Line. It shows the company name on the front and is in a good condition. HISTORY -- The Union-Castle Line was a British shipping line that operated a fleet of passenger liners and cargo ships between Europe and Africa from 1900 to 1977. It was formed from the merger of the Union Line and Castle Shipping Line. It merged with Bullard King and Clan Line in 1956 to form British & Commonwealth Shipping, and then with South African Marine Corporation (commonly referred to as SAF-Marine) in 1973 to create International Liner Services, but maintained its separate identity throughout. Its shipping operations ceased in 1977. DESCRIPTION -- From the Union Castle Line vessel the Pretoria Castle (1947-1966) this is a souvenir silver coloured butterfly leaf ashtray which is 3" (9.5cm) wide. The superb coloured picture in the centre (special leaf backed design) shows a view of the vessel at sea and the item is circa 1950's. Unlikely to see another! HISTORY -- The Pretoria Castle (28,705 grt, 747 ft. long) was the first Union-Castle ship to be completed after the war. She and her sister Edinburgh Castle sailed on the mail run to Cape Town from 1948. The vessel was sold to Safmarine in 1966 and renamed S.A. Oranje, but continued in the same service managed by Union-Castle. She was sold to be broken up in 1975. DESCRIPTION -- A china milk jug from the Union Castle Line shipping company. The item is in a great condition and dates from the 1950's/60's and is 5" (13cm) high and made by Ashworth Brothers. The milk jug is bottom marked with the company name and is an as used on-board piece. HISTORY -- The Union-Castle Line was a prominent British shipping line that operated a fleet of passenger liners and cargo ships between Europe and Africa from 1900 to 1977. It was formed from the merger of the Union Line and Castle Shipping Line. It merged with Bullard King and Clan Line in 1956 to form British & Commonwealth Shipping, and then with South African Marine Corporation in 1973 to create International Liner Services, but maintained its separate identity throughout. Its shipping operations ceased in 1977. DESCRIPTION -- From the Union Castle Line shipping company an as used in service egg cup which is double ended and in an excellent condition. 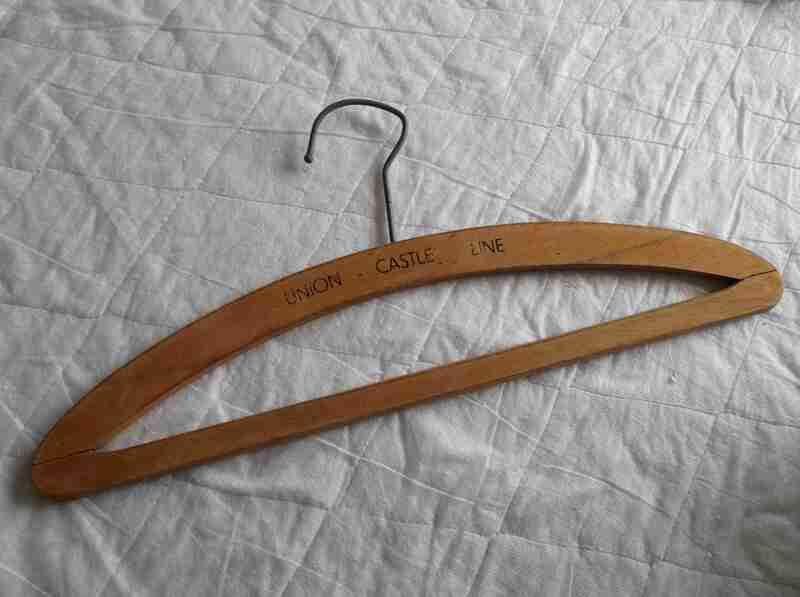 The item shows on the inside the Union Castle Line name and motif (click on the item to see a close up of the company logo).